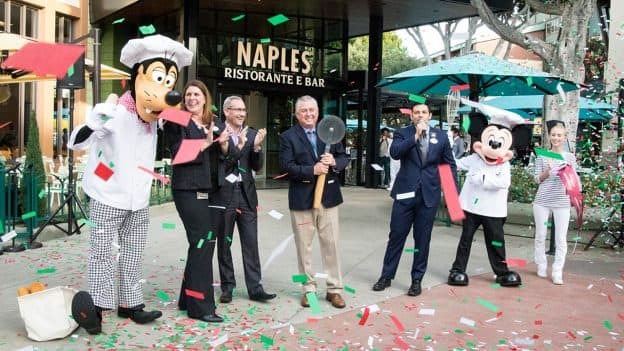 Naples Ristorante e Bar and Napolini Pizzeria showed off their brand new look with a grand reveal ceremony yesterday in the Downtown Disney District at the Disneyland Resort. Special guests Chef Mickey Mouse and Chef Goofy lent a hand to celebrate! 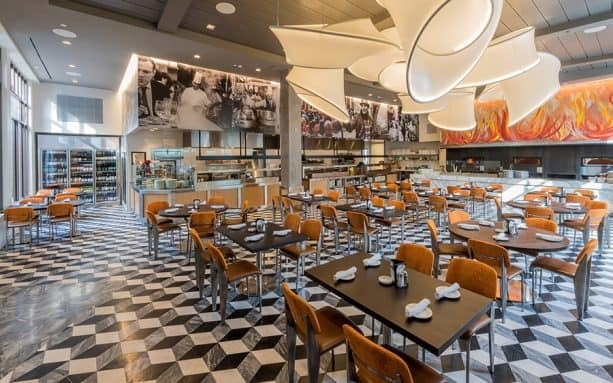 After extensive renovations, the two-story Italian restaurant has a fresh modern feel along with new menus the whole family is sure to love. The first floor is a classic Italian pizzeria with fire-themed mosaic glass tile above a trio of new wood-burning pizza ovens. In addition, a mural of photographs by Naples-based photographer Mimmo Fontanella dot the walls. Be sure to also relax on the expanded outdoor patio and bar area. The second floor features more seating and a lovely balcony with gorgeous views of the promenade. 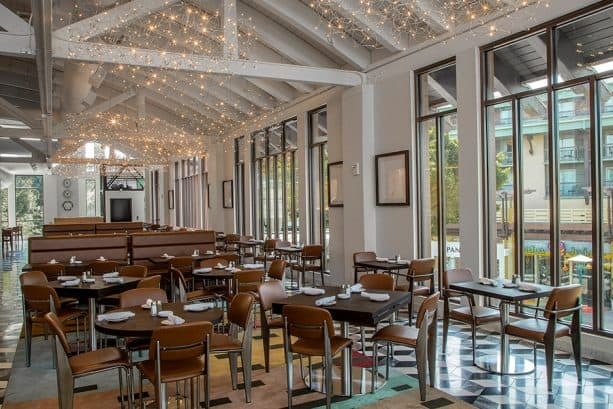 Chef Umberto Rubelli, who is from Milan, brings authentic Italian favorites such hand-crafted pasta and wood-fired Neapolitan pizza paired with an extensive wine list for a most memorable lunch or dinner. 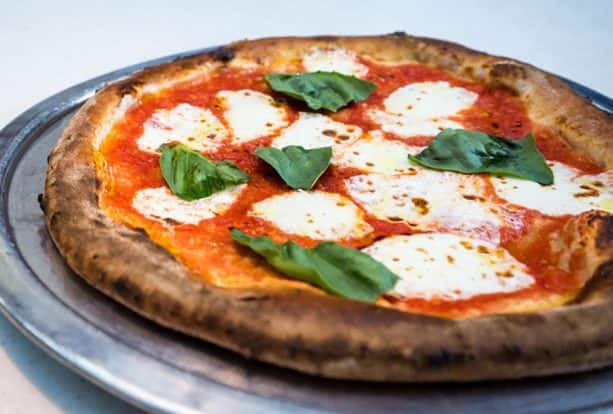 At Naples’ sister restaurant, Napolini Pizzeria, you can now create-your-own Neopolitan-style pizzas and savor delicious sandwiches, fresh salads and Italian desserts from Pizzaiolo Charlie Restivo. The new Naples and Napolini are part the Downtown Disney District’s promenade-wide transformation. 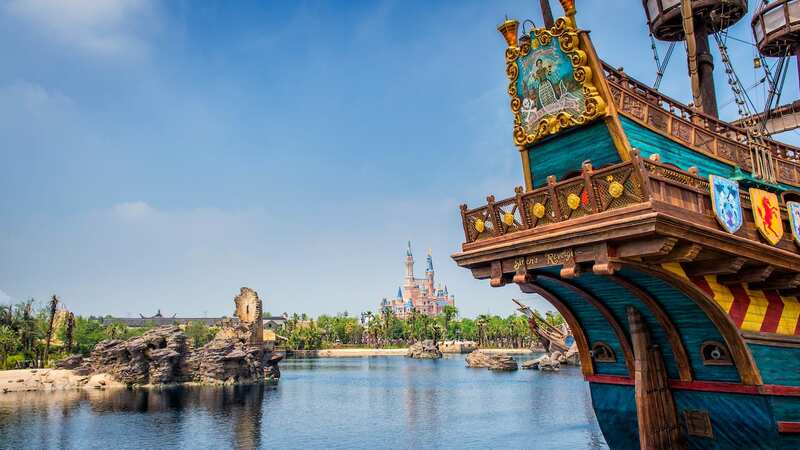 Several new shops and restaurants have recently opened, including the reimagined World of Disney, Salt & Straw scoop shop and the re-designed Wetzel’s Pretzels. The highly anticipated Ballast Point brewery and Black Tap Craft Burgers & Shakes are coming soon! I love the patio area, and the inside looks great. I can’t wait to try out this place. It was so exciting to see the grand opening unfold on social media. And might I add, great piece Valerie! Any gluten free pizza options?